National Snaffle Bit Association - The February Issue of The Way To Go is now Online! 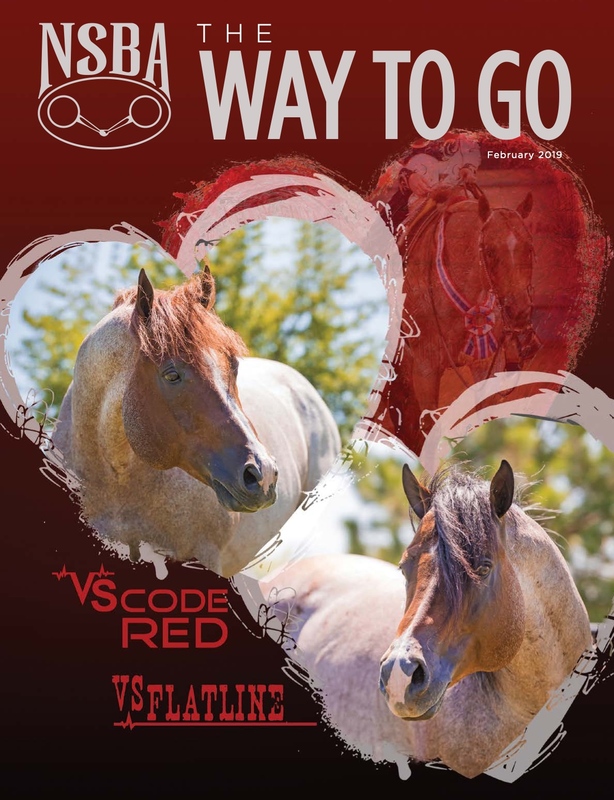 It’s fitting that the offspring of the great Vital Signs Are Good grace this month’s cover of The Way To Go’s “mare issue.” ‘Lucy’ has left a lasting legacy not only through her own achievements, but also through her sons, VS Code Red and VS Flatline. Learn more about the next generation to carry on Lucy’s legacy. In “Mare Tales,” mare owners share stories of mares who outproduced themselves and found a place in their hearts. We also talked with horse show grandmas about how they share their passion with their families. In addition, we answer frequently asked questions about the NSBA Riders Cup, how to become an NSBA judge and introduce you to NSBA’s 2019 officers. Stephanie Lynn discusses how horse trainers can serve as leaders of change in the industry, plus we recap the Copper Country Paint-O-Rama and Gold and Gulf Coast AQHA shows, and much more in this issue of The Way To Go!